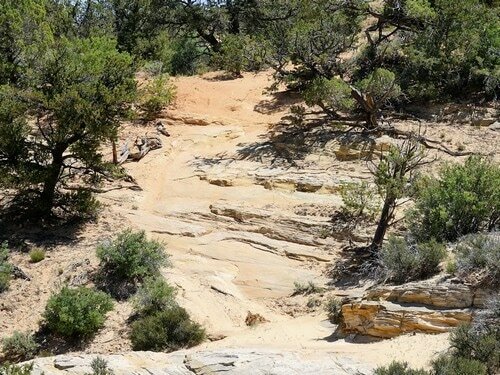 ​This trail visits Hog Canyon without doing the more extreme trails the canyon is famous for. It has a solid 3.0 rating and is a lot of fun to drive. The obstacles keep coming one after the other. 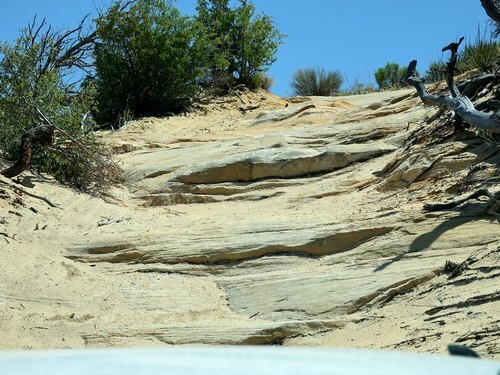 Ledge climbs, off camber hillsides and steep sand hills. Whoopie!!!!!!!! 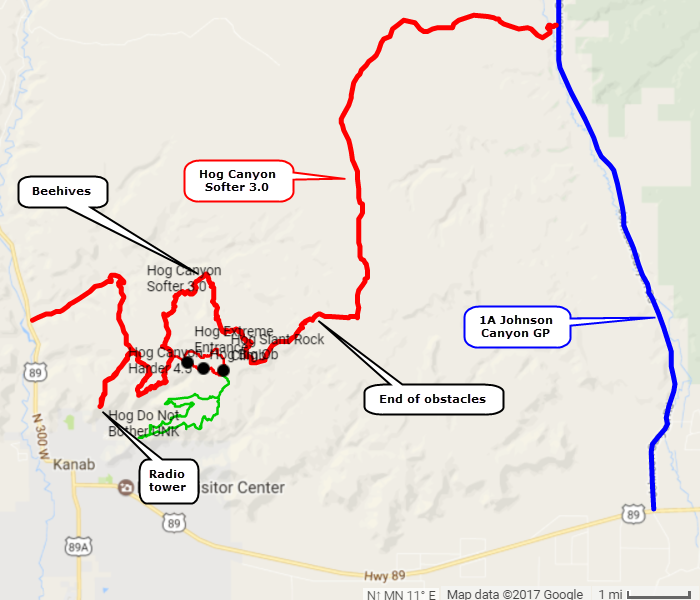 We ran the trail starting near Kanab and ending on Johnson Canyon Road. 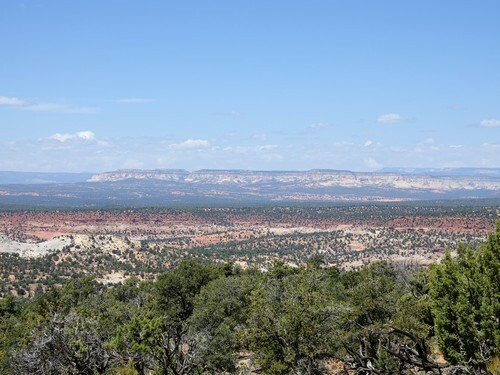 The first spur on the trail goes out to radio towers and offers a great view of Kanab. 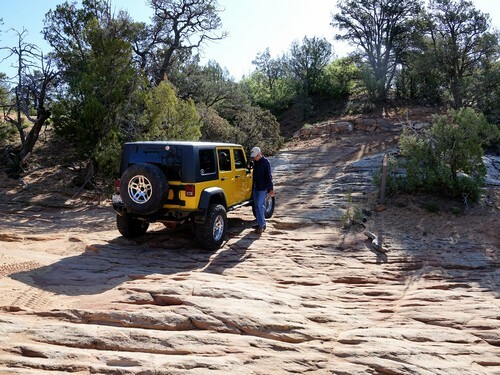 There is not much to wax eloquent about with this trail. The big highlight is that it is FUN TO DRIVE! I will let the photos do the talking. 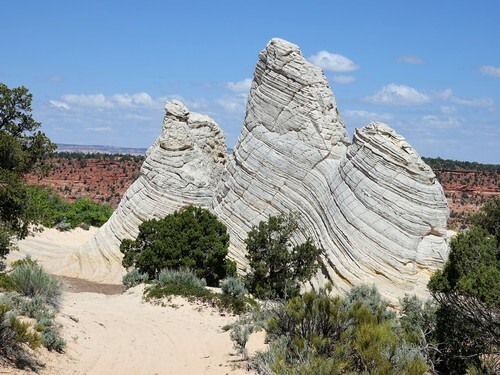 The Beehives are an interesting formation. 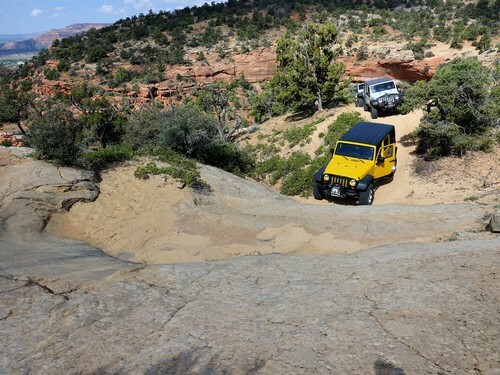 There are a few views on the way out, but mostly it is just a way to get home without repeating the trail. 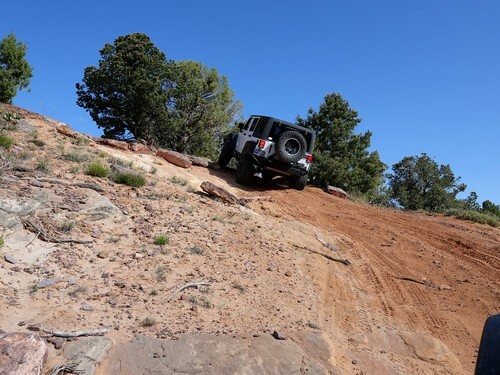 Mostly easy, sandy roads. 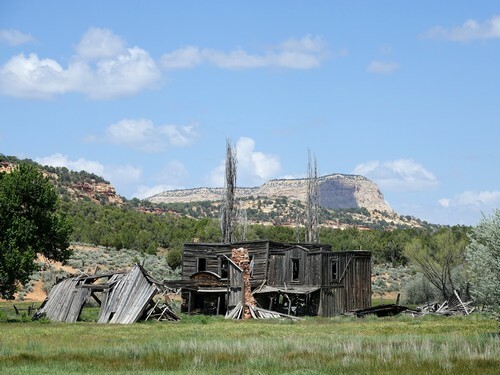 Head south on Johnson Canyon Road and you will soon come to the remains of the set for the old TV show Gunsmoke. 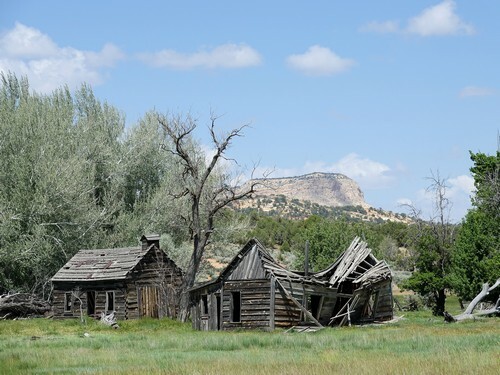 Admittance is not allowed because it is in such poor condition.